In 1945 Gramper (Robert Lee) Barger's sons, C.E. and Mack, started Barger Brothers Well Drilling. 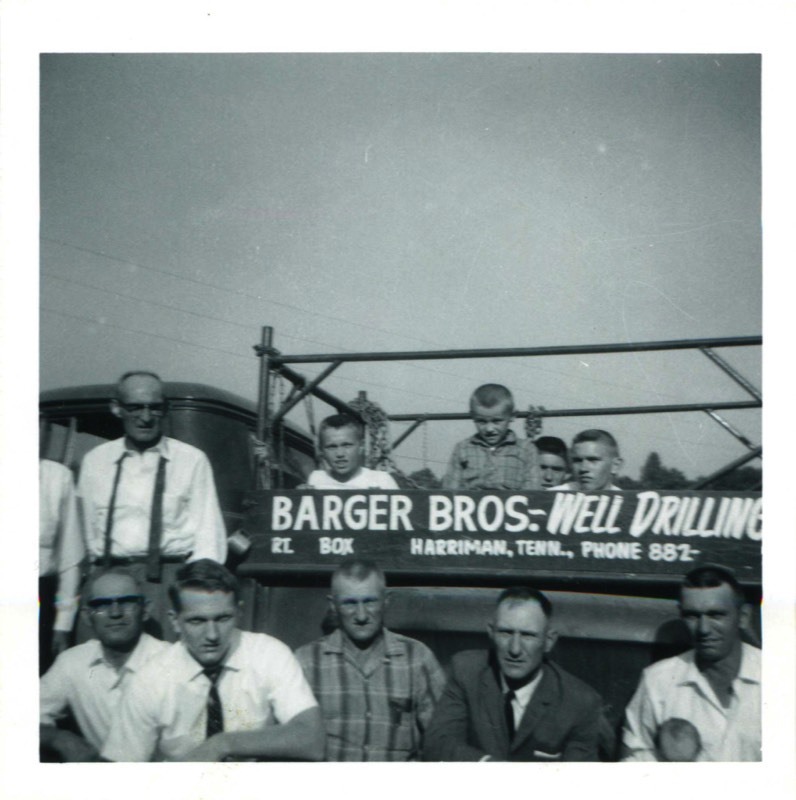 They drilled almost every well dug in Roane and surrounding counties for the next thirty years. During this time their father Gramper was busy starting a business of his own. In 1947 Gramper Barger, the first generation, opened up a company in the Clax Gap community on Mays Valley Road. Gramper opened Barger Grocery. The grocery store was the center of the small community. The store was then taken over by Gramper’s son C.E. (Charlie) and Daisy Barger and ran for several years. The business was then purchased by C.R. and Mary. Using the strengths of C.R. 's background in well drilling he soon added new divisions to the company in addition to the store. Plumbing, water line infrastructure improvements, septic tank and field line installations, home building, and well pump repair. It was 1967 when Charles (C.R.) and Mary Barger began manufacturing precast concrete products. Before C.R. 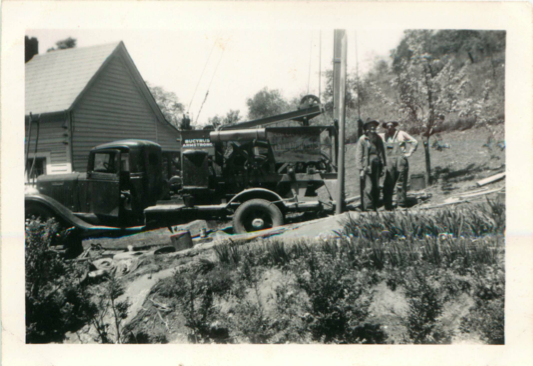 installed septic tanks and field lines, he always had the problem of barely receiving the tank within a few days of his order. Motivated by this inconvenience, C.R. drove to Georgia to look at a truck and two tank forms (a 750 and 1,000 gallon); soon a new precast concrete family oriented business was born. After a discouraging two months, C.R. sold his first tank to a local resident. The news of the up and coming business spread with this single sale, and soon the phone was continually ringing with the demand for more tanks. When first making the tanks, each had to be individually mixed by a hand shovel. Only one tank a day was cast underneath a tin shed that was behind the small grocery store they ran. A 1,000-gallon tank was poured; this was the largest septic tank available at that time. Now, almost 40 years later, a full line of tanks that covers most of the on-site sewer technologies is manufactured daily. Now, with the business growing substantially there are two managers: Mickey, C.R.’s second oldest son, and Eric, Mickey’s oldest son. Mickey has his degree in business, and Eric has a degree in Civil Engineering from Tennessee Technological University. Both are members of the National Onsite Wastewater Recycling Association (NOWRA), Tennessee Onsite Wastewater Association (TOWA), Tennessee Septic Tank Association (TSTA), and the National Precast Concrete Association (NPCA). Eric is also a member of the American Concrete Institute (ACI). C.R. Barger & Sons, Inc. became a NPCA Certified Plant in October of 2005. Mickey heads up the On-Site Sewer Technology division of the company while Eric oversees the Precast Concrete division. The On-Site Sewer Technology division installs specialized engineered systems and tanks and troubleshoots existing systems. The Precast Concrete division manufactures manholes, box culvert, wet wells, radiation barrier, septic tanks, meter vaults and much more. Presently, there are tank design approvals in eight different states. Each job is handled with the utmost care and professionalism, and we stand behind each product manufactured. With unmatched service from a personable staff and a quality assurance program, a reliable tank and system are offered. An extensive list of products is available for your purchase. We offer a variety of manholes, wet wells, box culvert, grease traps, septic tanks, and pump tanks designed to fit most of your individual requirements/needs. For more information on the products available please contact us by e-mail at help@bargerandsons.com or phone (865) 270-8080. May 19, 1964 - Immediately after graveside service for Sam Barger (brother to C.E. and Mack).